Well, then, you should dive into this one! Come on a romp through the pages of this enchanting picture book. It reminds us of all the books we love, and why we like to see and to feel, to touch and to smell and even to taste the books and the stories that light up our lives. 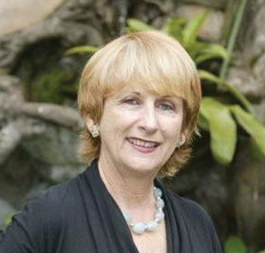 Libby Hathorn is an award-winning author and poet of more than 50 books for children and young adults. Her stories have been translated and adapted to stage and screen. Her best-selling novel Thunderwith was adapted into a movie by Hallmark Hall of Fame, starring Judy Davis. 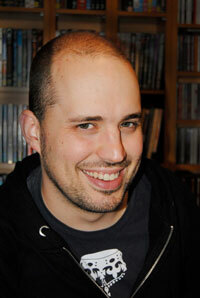 Libby wrote the text for Way Home, which won the Kate Greenaway picture book award in the United Kingdom. Her most recent books are novel Fire Song and the IP Kidz picture storybook Zahara's Rose. She also compiled the ABC Book of Australian Poetry; a Treasury for Young People, which was launched at the NSW CBCA Conference, 2010. Heath McKenzie is a best-selling illustrator who has been involved in well over 200 projects since first being allowed to draw for a living! "The inspiration for this book could have been the sonnet by Elizabeth Barrett Browning which begins “How do I love thee? Let me count the ways…” because it is an ode to the pleasures and delights of the book – its sights, sounds, smells and the remarkable places it encourages our imagination to visit and the amazing creatures we meet when we get there. From the “rustle-bustle” of the pages to the “dots and commas, question marks Performing every page” to the “happily-ever-afters, packed-to-the-rafters”, this is an enthusiastic, energetic romp that reaffirms the joy that reading provides and why books are here to stay because they are the perfect format. On each page, illustrator Heath McKenzie has created fantastic artworks (hand-drawn using a digital tablet) which match the energy of the text and help us recall some of the most magic moments in our reading lives. And even if we haven’t yet met the centipede being rude or visited those lands at the top of the tree, it inspires us to find those books so we can. We ask our students to express why they love books, not just as an exploration of the senses but also as a way of having them recommend books to others. Which books make you “dreamy and sometimes quiet and slow”, and which books make you want to “go, get up and go!”? Similarly, how do those “short-long words” make the story move, and what role do those dots and commas have? If you’re planning to start 2014 off with a focus on reading and books and the pleasures the children are going to be in for as the year with you progresses, this is a must-have." "I confess, I fell instantly in love with I Love You Book; a book about loving books – how could I resist? This is a delightful rhyming tale about all the good things that spill forth from the pages and the joy that reading brings. Libby Hathorn was inspired by a high school visit in Papua New Guinea, where the parents of students were so thrilled to be learning to read that three mothers performed a 'book drama' about the delights and empowerment of reading. 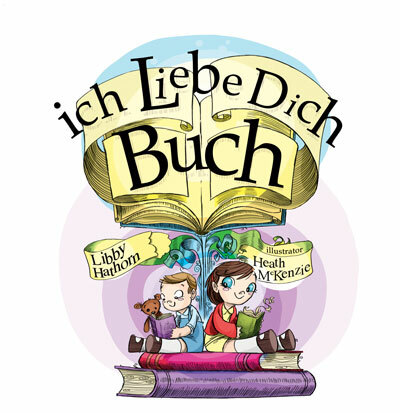 I Love You Book is a journey through fairytale, myth and mystery, magic and lullaby. A solitary voyage or a shared adventure; I Love You Book has it all. Spell binding illustrations to set your imagination on fire. Heath McKenzie has an amazing ability to capture a story and present it the way it was meant to be. I love I Love You Book!" "A wonderful romp along with Libby Hathorn’s words and Heath McKenzie’s funny and colourful drawings, I Love You Book tells the story of a young girl and the books she meets. This is a book that children will enjoy reading, because it is just that … a book about reading and the stories that you discover along the way. For any child that doesn’t like to read, this may just be the right book to get them started. For others, it is a gentle reminder of why we love to read." "This tribute to ‘the book’ was inspired by Libby Hathorn’s visit to Papua New Guinea where she visited a high school in Gorokan several years ago. Several of the students’ parents were learning to read and performed a ‘book drama’ for the assembly, called I Love You Book about the joys of reading. The picture book i Love You Book celebrates every aspect of the absolute joy of ‘the book’: the look, the smell, the sound, the feel, the emotions, and the delights that capture the imagination on every page. Heath McKenzie’s vibrant illustrations take the reader into an array of imaginative scenes that will remind readers of every memorable book they have ever read. This delightful book will deliver something special for readers and writers of all ages." 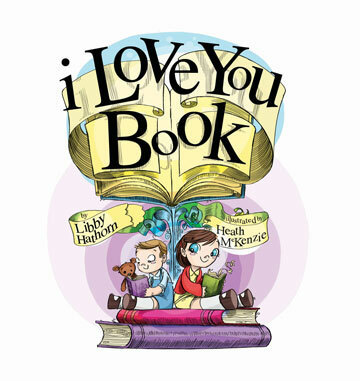 "I Love You Book is the new picture book from Libby Hathorn and Heath McKenzie. In an age when e-books have become a focus for teachers, librarians, parents and readers, I Love You Book celebrates the joys of the traditional book. It is about the empowerment of reading and the joy that it can bring. Libby Hathorn, the author of more than 50 books for children and young adults uses evocative language like 'rustle bustle of pages' and skin going 'ting-a-ling to bring the joy of books to life. In I Love You Book the main character is taken into a world of fun and imagination where kids can climb trees and find a "land brimful of things" and share them in the sky. Libby Hathorn's text captures the author's passion for books and it's clear from the pictures that illustrator, Heath McKenzie is celebrating his own love for what he does. His vibrant illustrations are full of life and humour. This is a book that readers can dive into and be taken into a world of imagination. It allows adults to reflect on the books we have loved – the ones that stand out and mean the most to us, that have taken us in." "I totally empathise with the characters in this book by well-loved author Libby Hathorn. Yes, I too love the paper smell and consistently fight the desire to take a bite from a book I truly adore. Yes books are delicious. And yes, they are lovable. The rustle of the pages. The sound as the book shuts tight. The dreams they conjure, the magical places they take us, the short, hippety-hoppety words and the laughter and the commas, dots and question marks. Libby expresses it all in this book – so perfectly, the reader will nod in appreciation the whole way through. Told in rhyming text, the book’s illustrations are bright, dynamic, Seussy delight. Heath McKenzie’s divine talent shines through and he takes a flying leap into the imaginative possibility Libby has penned – and comes up with page after page of beautiful imagery both kids and adults will adore. Find out what some readers say is the BEST page in the book!